As you ease your way into the weekend, we wanted to share you a freebie that will teach you how to count to 10 using Dakota numbers. As part of our Camp Don’t Get Dumb Over Summer resource site, this FREE resource teaches you the Dakota-Sioux words to count to 10 such as Wanzi (1) and Zaptan (5). Count to 10 in Dakota! After you practice the numbers, put your new knowledge (and memory) to the test by playing this Dakota numbers memory game. This flash memory card game times you as you match numbers 1-7 with their Dakota-Sioux name. 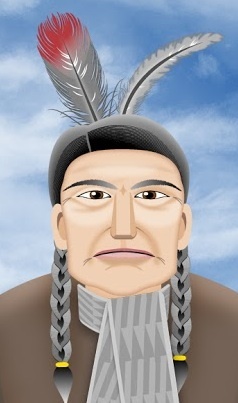 These freebies are fun ways to learn about a Native American tribe and can be incorporated into lesson plans for educators covering Native American history and culture. Send us your comments/thoughts on your experience using these free activities. If you want more of a challenge, jump into the world of 7 Generation Games and buy our games Spirit Lake and Fish Lake.